CryoScience is now a part of Worthington Industries. Worthington Industries acquired the assets of Taylor-Wharton's CryoScience business, including the manufacturing facility in Theodore, Alabama, in December 2015. 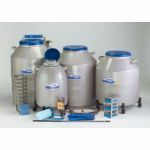 Worthington Industries will continue to manufacture a number of CryoScience items used in biobanking, fertility, animal fertility and research, genetic therapy and more. 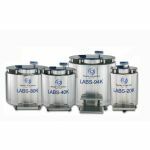 The Liquid Withdrawal Device enables the LD25, LD35 and the LD50 to conveniently pressure-transfer liquid nitrogen at rates up to 8 liters per minute. 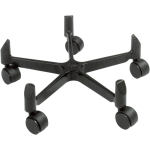 The roller base is a sturdy, aluminum, 5-wheel dolly that enables movement of freezers and dewars easily and safely. 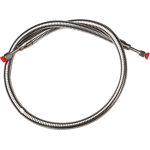 Use only the necktube core supplied with your unit or a listed replacement part. A tight fitting plug or stopper will cause a pressure increase in the container that may damage the container and/or cause personal injury. 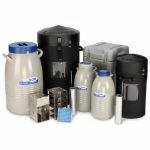 Designed to minimize hazardous splashing, phase separators are available in three different sizes to accommodate transferring liquids into various open containers. 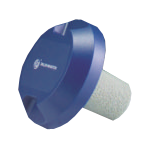 The two larger phase separators are designed to fit the 3/8" MNPT end of Taylor-Wharton transfer hoses. Cryo Express (CX) dry shippers are designed to safely transport materials at cryogenic temperatures. These refrigerators are designed to store biological materials at cryogenic temperatures. Storage temperatures at the liquid surface are approximately -196°C (-320°F), and -190°C (-310°F) at the top of the canisters. 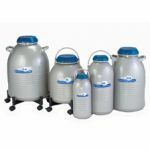 The Extended Time Series ( XT) Series of cryogenic refrigerators are designed for long-term storage of a variety of materials at cryogenic temperatures. 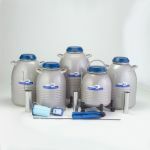 This series also offers low profile models (XTL),with 5" (127 mm) canisters. 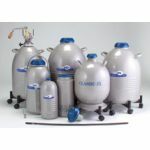 Our K Series offers reliable liquid nitrogen storage with controllable temperatures.This series features automatic alarms and easy access to storage chambers. 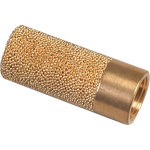 The unique Temperature Gradient Suppression System improves vapor phase storage and recovery. Temperatures within the chamber can be kept between -100°C ( -148°F) and -196°C (-320°F). 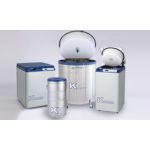 K Series freezers provide solutions to either liquid or vapor phase storage requirements. The Laboratory Systems (LS) Series is designed to hold large vials in convenient box-type storage racks. These dewars provide maximum holding times, which means lower operating costs and fewer refills for our customers. 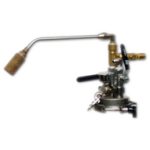 The LS6000 model features temperature read out, automatic filling and an alarm.